Birth date and place c. 1825 Leighlinbridge, Carlow, Ireland. Physical Description Height: 5 ft. 7³/8 ins. Complexion: fresh. Eyes: brown. Hair: brown. Marriage date and place 22 Jul 1865 Cork, Cork, Ireland. Will and Probate Indistinguishable possibilities in Melbourne, Victoria and New Zealand. Regiment No. and Rank #2124 (97th). #356 (99th) Private. Attestation date and place 2 Jan 1843 Carlow [WO25-542B-22] (97th Regiment). 19 Dec 1856 Liverpool, Lancashire (99th Regiment). Service/Campaigns Ionian Islands 2 years 2 months. Malta 1 year 7 months. North America 4 years 8 months. Musters 1851 New Brunswick [WO12-9696]. 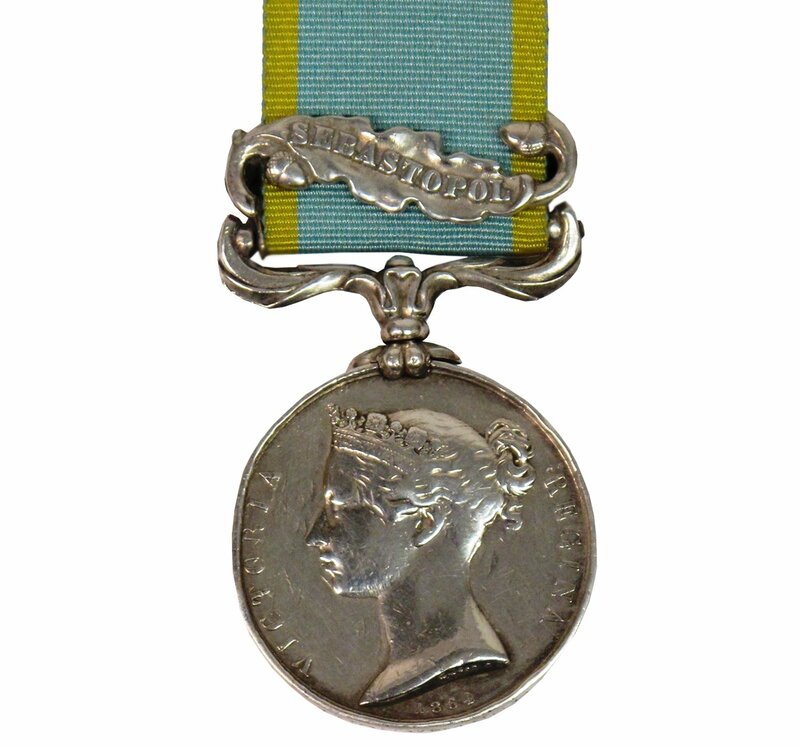 Promotions Private to Corporal 1 Dec 1859. Corporal to Sergeant 26 Feb 1864. 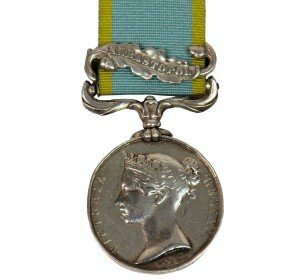 Discharge date and place 3 Dec 1856 Portsea (free discharge from 97th Regiment). 18 Jul 1865 Cork (at own request from 99th Regiment). 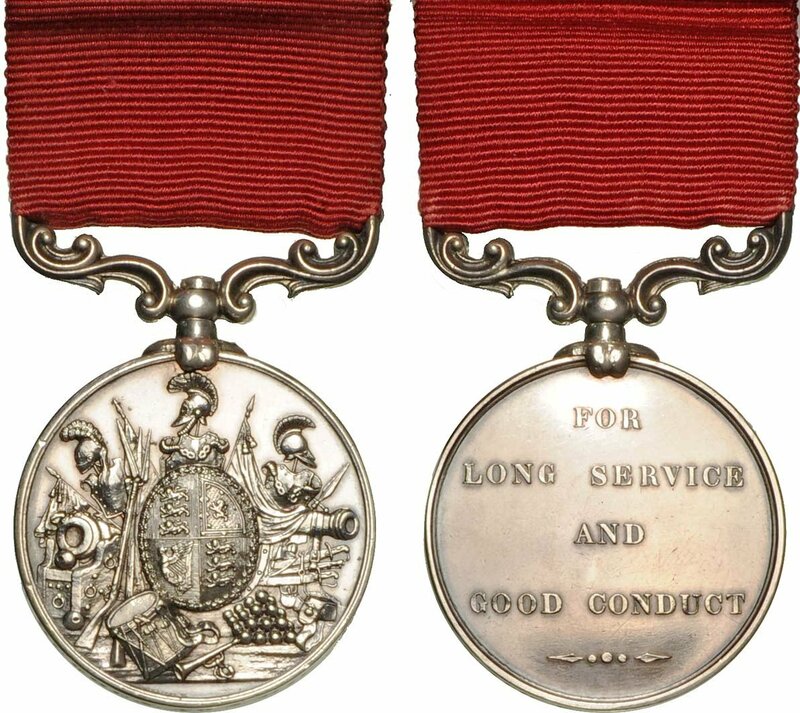 Length of Service 22 years 29 days. Post Discharge Residence Liverpool, Lancashire. Post Discharge Pension District 1st Liverpool (1865). 1st Cork (1865). Western Australia (1866). 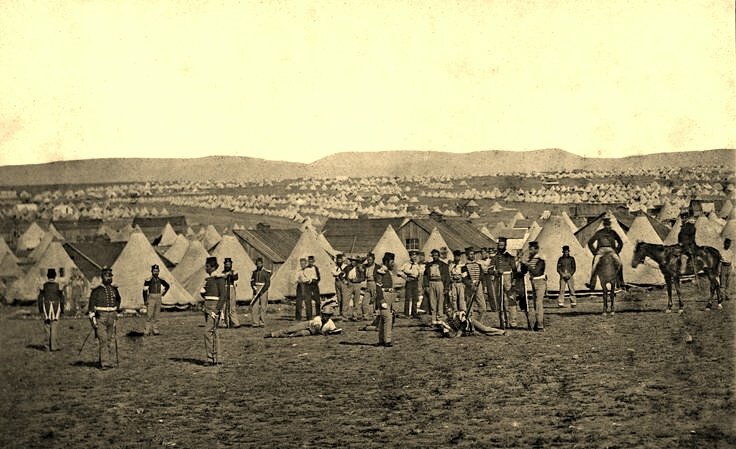 Melbourne (Oct 1868). Pension Amount 1/4½d. per diem. Misc. 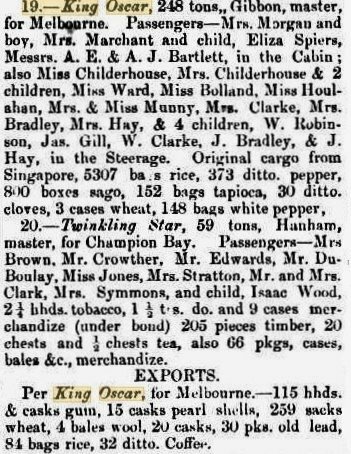 Newspaper Articles Perth Gazette 21 Aug 1868. Departure from WA King Oscar dep. 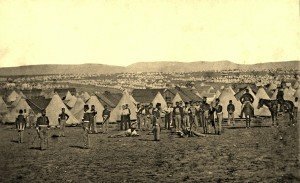 Fremantle 19 Aug 1868; arr. 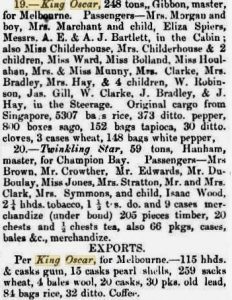 Hobson’s Bay (Melbourne) 30 Aug 1868.